Hi, Everyone! Today i’m sharing with you a powerful networking design and analysis software named Cisco Packet Tracer 6.1.1. Though it is an old version now because a new version of Packet Tracer 7.1 is already available online. I share it because if you feel interest to work in these version then you must needed to download it from internet. For easiest download i’m helping you here. Just go to the below of the page where you can find a download link. Supports Windows 8 and Windows 8.1. Stopped support for Windows Vista. 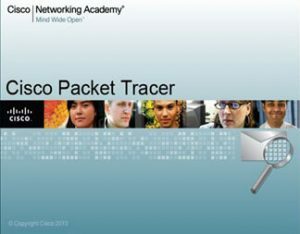 Cisco Packet Tracer 6.1.1 for Windows. If you like this post, please like my facebook fan page and stay connected with latest posts.